For vacationers who want the spaciousness and savings of a Florida timeshare resale or rental, but long for distinctive architecture and unique appeal, the Banyan Resort in old Key West affords the best of both. While there are a lot of beach towns in Florida, but there’s only one Key West. Steeped in history and quirky charm, Key West invites vacationers to let their hair down and embrace the ambiance that makes this city so special. 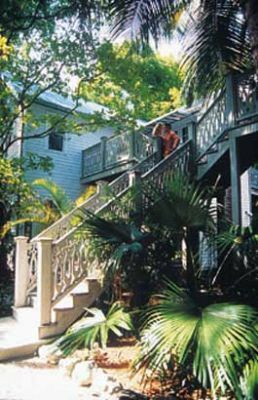 And because there is an abundance of shops, boutiques, cafés, restaurants, and interesting nooks to explore, the location of the Key West accommodations you choose is vital in defining your vacation experience. 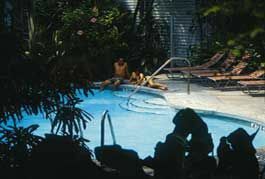 Happily, the luxury timeshares of the Banyan Resort are situated within walking distance of the popular sites and attractions of Duval Street and Mallory Square. You can literally walk everywhere you want to go! Will you splash in one of the resort’s two temperature controlled swimming pools? Relax at the tiki bar or perhaps kick back on your private veranda with a tall, cool, drink and copy of anything by Ernest Hemmingway? Of course, you should read The Snows of Kilimanjaro while you’re here, it’s one of the most famous books he penned during the decade he lived only blocks from the property. 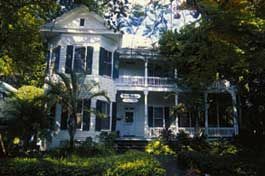 Plan to tour the home and museum of this legendary author which you can tour as a museum. 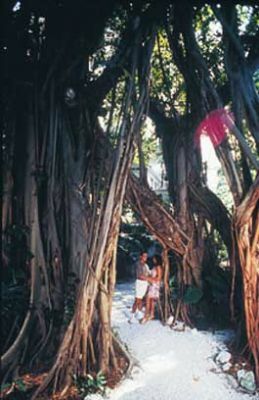 The historic Banyan Resort includes eight Victorian era homes, tucked beneath tropical banyan trees. The trees, which have shaded and protected the property for hundreds of years, form a canopy of green to filter the Florida sunlight, creating an oasis retreat. Here, every luxury timeshare resale and rental unit is air conditioned, has a DVD player, satellite television service, high-end finishes in the well-equipped kitchen, ceiling fans, super comfy beds, and a private entrance. Units have a tropical décor, a private balcony or porch, and an easy living elegance that will make you want to return again and again. How special is this Florida timeshare property? The Banyan Resort is the first destination in the Florida Keys to be Certified as a GREEN Lodging Facility by the Florida Department of Environmental Protection and has twice earned the prestigious Two Palms Designation. Contact Banyan Resort, The Specialist Today!